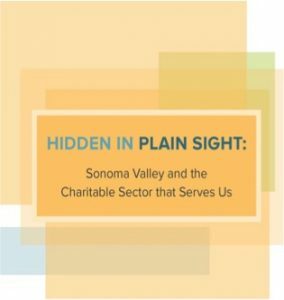 Sonoma Valley’s nonprofit sector is surprisingly big, but the needs it addresses are even bigger, according to a new study released by Sonoma Valley Fund. 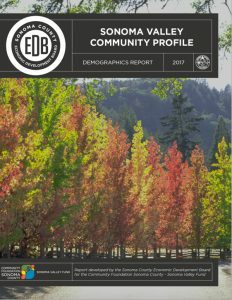 The study contains demographic and economic data about Sonoma Valley and a first-ever study of the charitable economy in our community. To read our Press Release describing the study, click here. Sonoma Valley Fund board members are willing to do presentations and engage in dialogue. Contact us via the form at the right, or send email to info@sonomavalleyfund.org.